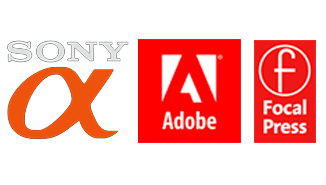 I had a chance to put the wireless system through its paces in Sydney at a Sony Digital Imaging training event held at The Grace Hotel on the 25th October 2016. After being introduced to the system, just an hour or two before the start of the event, I was delighted that I could set it all up without a manual in just a few minutes. Thanks to the lovely Bianca for modelling for me. 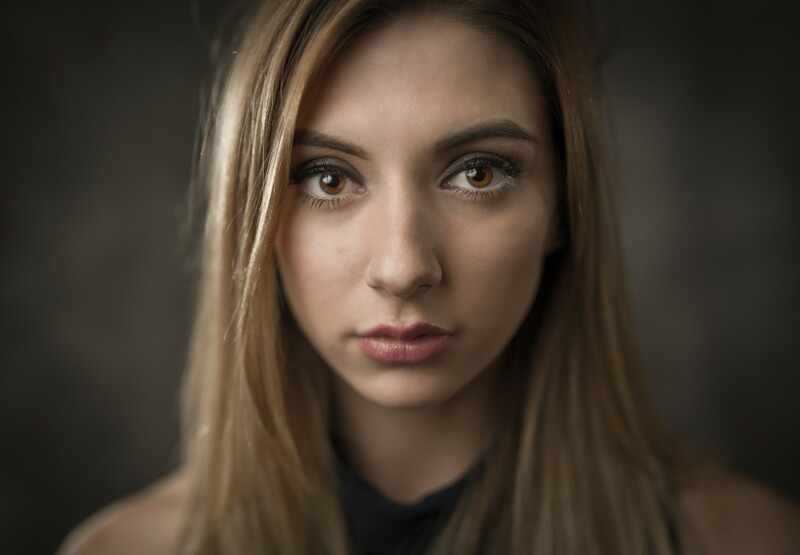 This system allowed me to create a versatile and reliable off-camera flash setup. 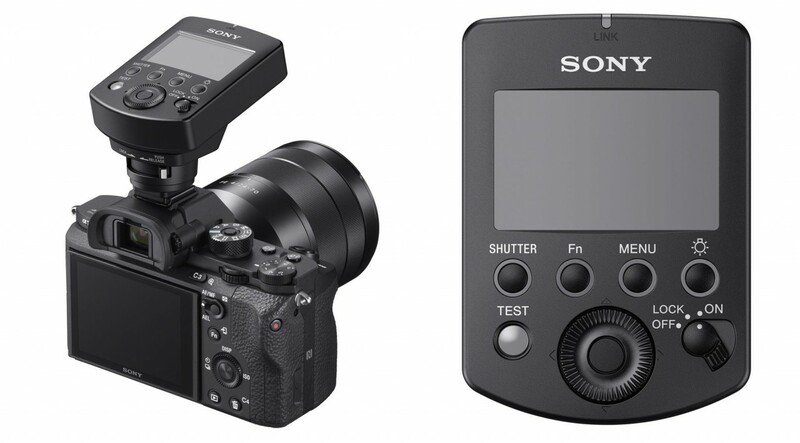 You can quickly and easily slide the commander into the Multi Interface Shoe of your a7 II, a7R II, or a7S II mirrorless camera, this device provides effective remote control of up to 15 separately available FA-WRR1 Wireless Radio Receivers from up to 98.4′ away thanks to a 2.4 GHz radio system. This configuration also permits operation without requiring line of sight with all the units involved. Additionally, it has access to 14 channels for avoiding interference with other radio triggering systems in the vicinity as well as up to 5 groups for precise control over your lights. I have outlined the workflow I used below. Three Sony HVL Flashes, each mounted to a Sony FA-WRR1 receiver. 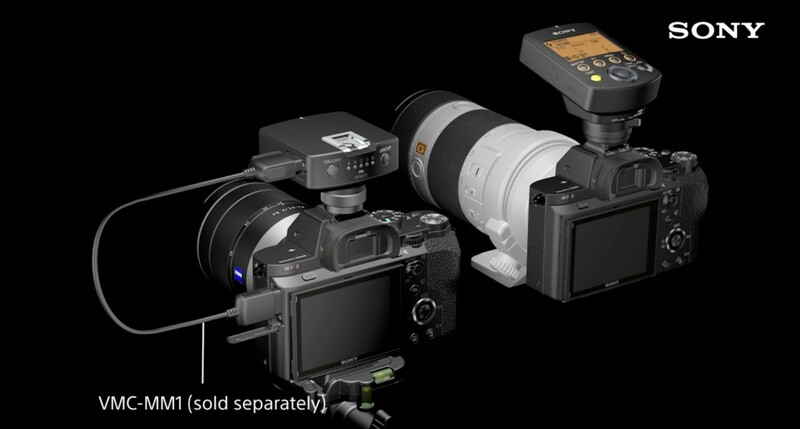 A FA-WRC1M Wireless Radio Commander was mounted to the Flash Shoe/Multi Interface Shoe (MIS) of the A7RII. I used Sony’s super sharp FE50F14Z lens (mostly wide open) This was elected in preference to the FE85F14 GM or FE90M28 G because of the restricted space I was working in. The model was close to the background and I was close to the model due to the busy room (130 in attendance). I used one HVL-F60M set to TTL Remote as my main light and set the group to A on the receiver. I set the Zoom of the Flash to 24mm* to spread the light over the full width of the umbrella. 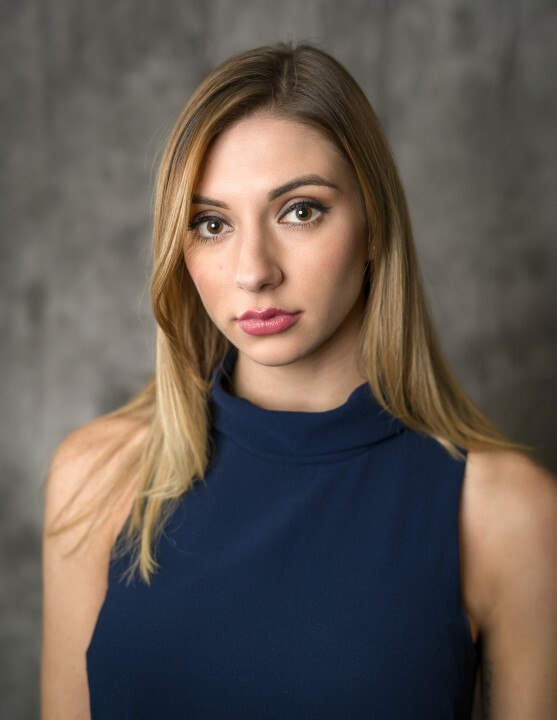 This flash setup was placed on a lighting stand with a large reflective umbrella. The lighting setup was placed close to the model, slightly to one side and slightly higher than the models eyes. I set up two HVL-F43M flash units set to TTL Remote on lighting stands without using any lighting modifiers. One was set to Group B and the other to Group C (this is quickly activated by pressing a small button on the back of each receiver unit – a green light cycles between the channels). The Zoom of each Flash unit was set to 105mm* (this was to focus the light on the models head and shoulders only). These lights were positioned on each side and slightly behind the model to add rim light and light to the hair. The Channel B light was positioned at head height camera-left and slightly behind the model. The Channel C light was positioned camera-right, high and and slightly behind the model. The camera was set to Manual Exposure, 1/200 Second @ f/1.4, ISO 100. With the Live View Display > Setting Effect ON. With the Radio Commander switched OFF I could then determine that the ambient lights in the room were not contributing to the overall exposure (because the LCD screen and EVF were showing a near black preview). Focus Mode was set to AF-C (Continuous) and Lock-on AF was used to produce reliably sharp images with such a shallow depth of field. Switching the Radio Commander On would automatically switch the Setting Effect to OFF so that I could now frame the model with a bright preview using the ambient light of the room. Using a TTL ‘ratio’ of the three groups, instead of choosing a specific power output of each unit, enables you to move the distance of the model from the main light and change apertures without modifying the power of each flash unit each time. Although Group A remained at a constant value of 16, I could quickly vary the output of Group B and/or C directly from the camera by pressing the Fn (function) key on the Commander without having to walk up to each flash. 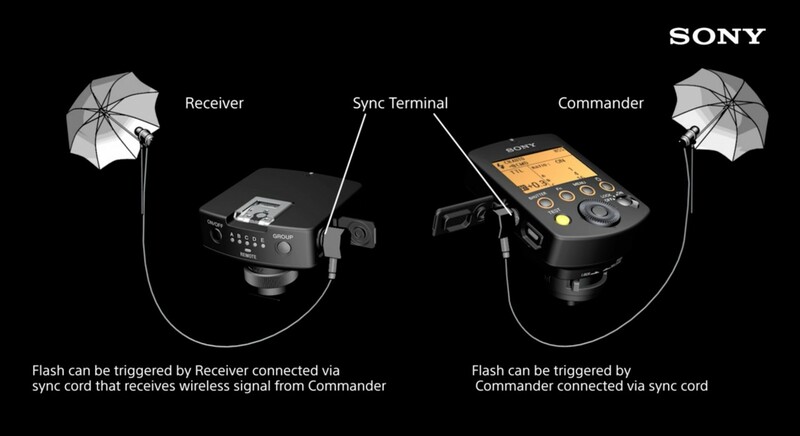 * NOTE > If you set the Zoom on the Flash unit to Auto you can then adjust the Zoom using the FA-WRC1M Commander without having to walk up to the flash units. ** NOTE 2 > If you would prefer to set the specific power output of the flash units switch the Commander from TTL to Manual. The flash units, however, should be left in TTL Mode. The Wireless Radio Commander can make multiple cameras release their shutters at the same time so that you can shoot one subject from multiple angles simultaneously. A Wireless Radio Receiver (sold separately) and a Multi Terminal Connecting Cable (sold separately) are required for remote release shooting. I loved using this system. My old workflow was to use either a HVL-F20M as the controller when using Manual flash ratios or a HVL-F60M as the controller to set up a TTL Ratio between three groups. With a HVL-F60M acting as the controller and one of the three groups, this used to give me only two off-camera groups to control. I can now set up as many as 5 Groups in a mixture of TTL and Manual power outputs. As the new system uses radio frequencies rather than infrared signals, I no longer need ‘line of sight’ in order to fire the remote flashes. The new system has given me increased creative freedom and reliability over shooting off-camera flash. I highly recommend this system if you already own two or more Sony HVL flashes. This entry was posted in Announcements, Blog, Flash, Reviews and tagged Commander, flash, HVL, receiver, speedlight, trigger, wireless.